Safari Part 2: For the Birds! Posted on May 30, 2015 by No Map Required Posted in Places, Tanzania	. Aaron and I had the great fun of sharing a safari truck with his Aunt Casey and a woman named Val, both devoted bird fans, along with our incredibly knowledgeable driver Vincent. While Aaron and I gawked at the lions, leopards, and elephants, they were discussing wing colors on the tiniest of birds. It’s one of the great things about Africa – there is PLENTY for everyone. The number and variety of birds truly astounded us and, as our eyes started getting trained to focus on our feathered friends rather than the giant mammals, an incredible thing happened – we became birders, too! 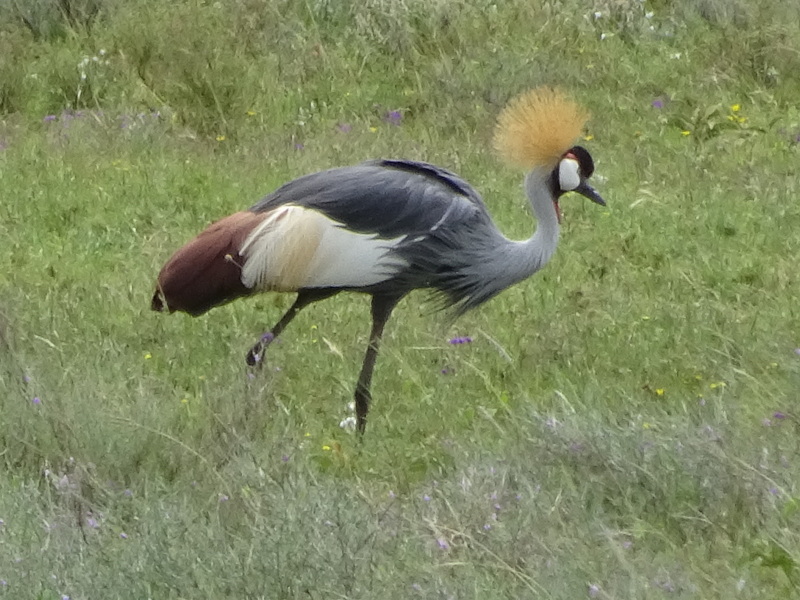 Yep, we were soon pointing our Secretary Birds on the horizon and herons on the wing. No doubt our blog will not do justice to the birds of the Serengeti, but let’s give it our best. I’m sure Aunt Casey can (will) email us with any additions or corrections. 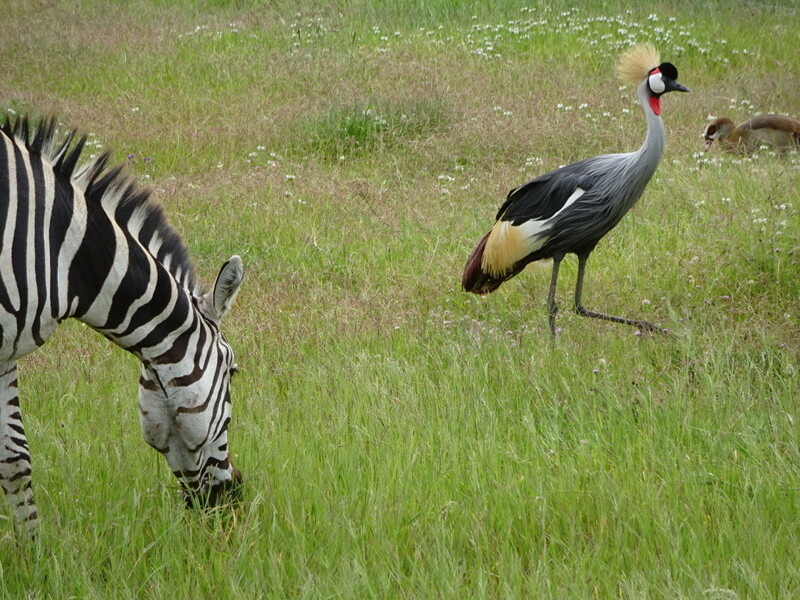 Let’s jump right in with one of the most amazing birds we’ve every seen – the Grey Crowned Crane. 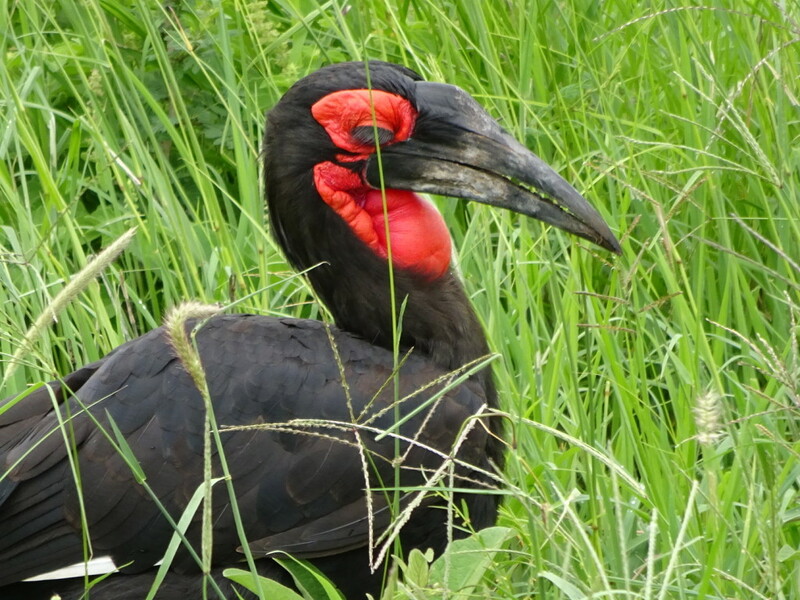 These guys are the national bird of Uganda and it’s a felony to kill one! Yowza! We tended to see them in pairs, or pairs of pairs, which made for an even more spectacular sight. Are these guys just incredible or what?! Every photo’s better with a zebra! Even in flight, just…wow. Click the photo to blow it up big and I think you’ll see what I mean. 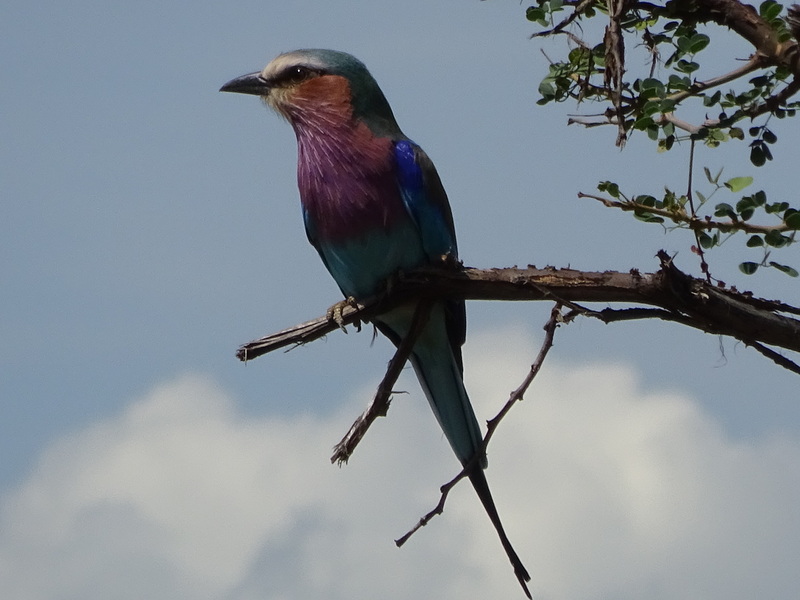 Smaller in size, but no less amazing with their gorgeous colors, we present the Lilac Breasted Roller! I don’t think we ever saw these in pairs or more, but that just allowed us to focus on them as individuals…and isn’t that what we all want? Totally rocking the iridescent color scheme! Secretary Birds don’t have the same colors, but their dramatic white heads and really large size (these guys stand a couple feet tall) make them noticeable a LONG way away…which is good as they tended to be farther away than some of the others! Continuing with our big bird theme, and no, I don’t mean the theme to Sesame Street!, we have the Kori Bustard. This fellow runs a couple feet tall and has the distinction of being the heaviest bird to take to the air! That makes him a winner in our book – go tubby flyers, go. 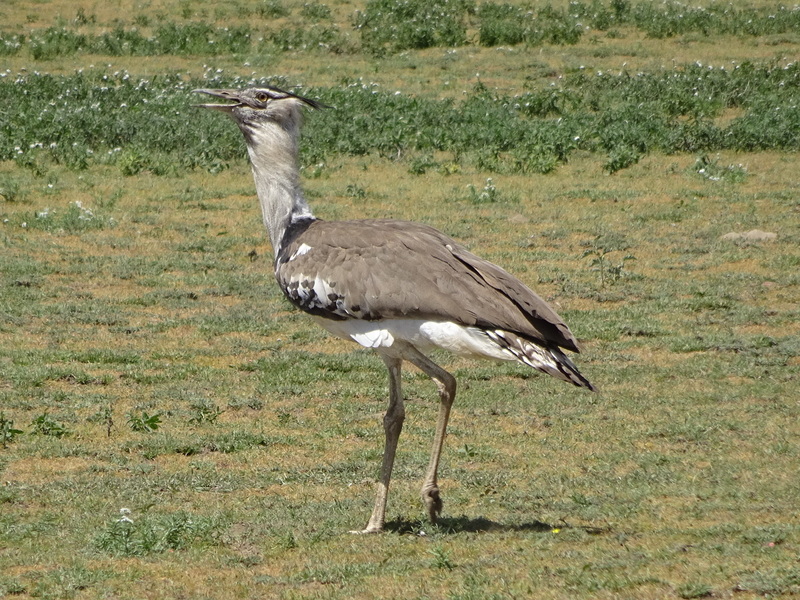 Ahhh, the Kori Bustard. Heaviest flying bird in the world! 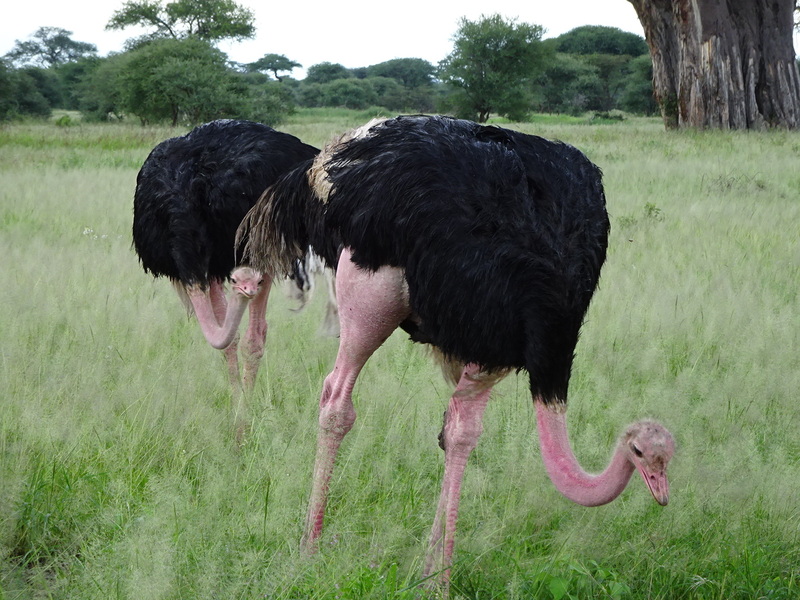 Well, if you’re gonna go big, they don’t come much bigger than everybody’s fave…the Ostrich! Like many of the birds we saw, the colorations were dramatically different for males (black feathers) and females (light grey-ish). They did, however, both have the same muscular, pink legs! A couple o’ males showing off their strong legs. Anner thought they always seemed to be in their underwear! Quite the color difference, eh? 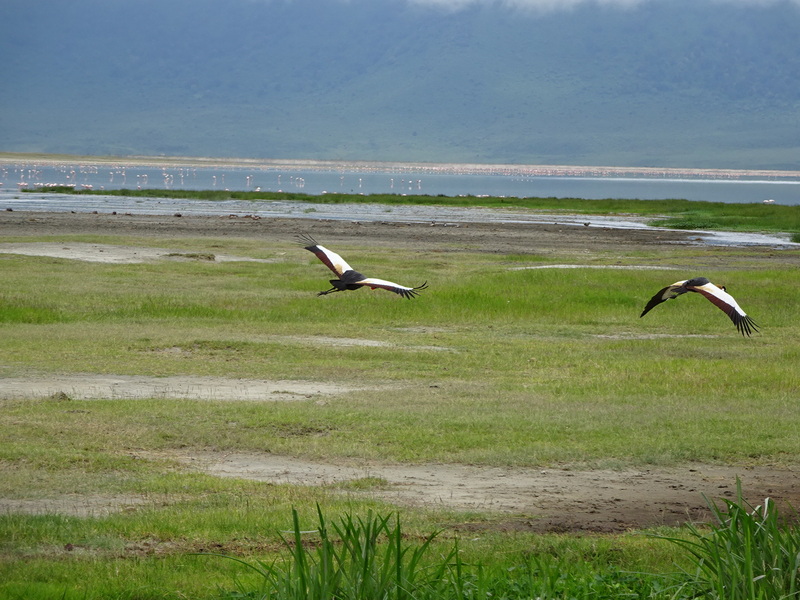 Around a hippo pool we came across the Sacred Ibis. 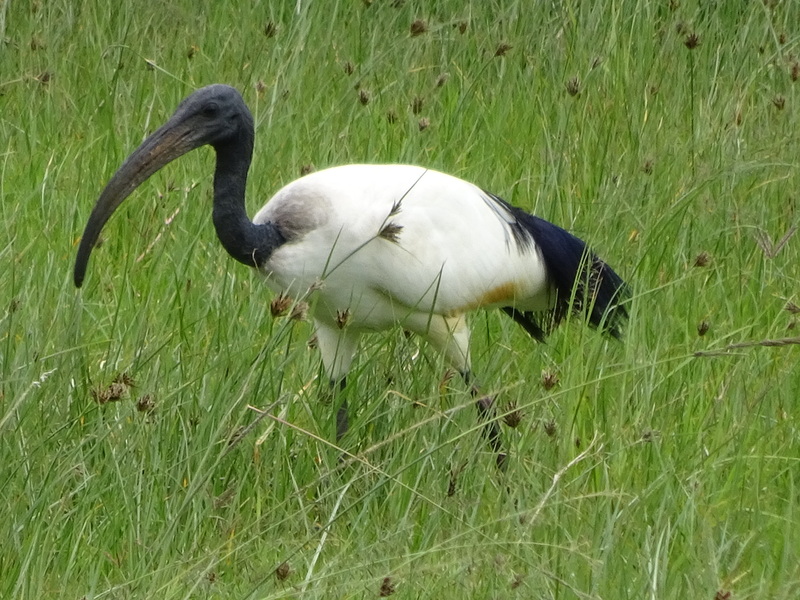 It’s the only ibis with this dramatic white/black contrast. If you see their wings open, they are white with a frame of dark black. Seeing about 8 of them taking off at once was REALLY gorgeous. 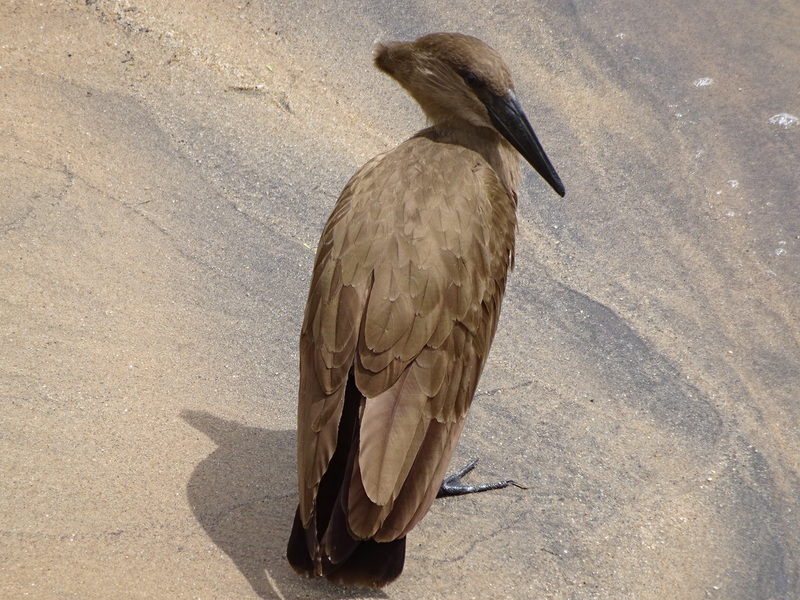 One of the most unique looking birds we saw was the Hamerkop, so named due to the hammer shape of it’s head. 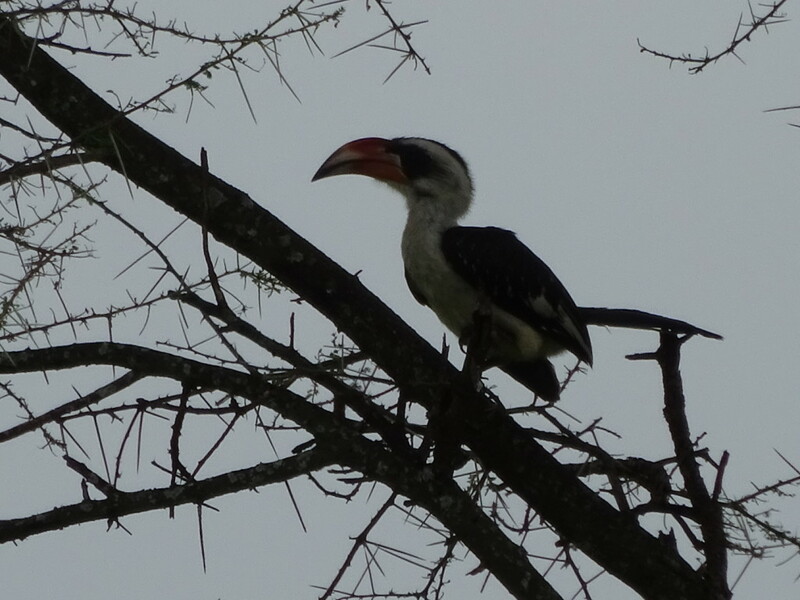 Saw this guy down by a river near a truly spectacular kingfisher…which we never got a photo of. Such a unique head structure giving him the name! Let’s continue the water birds with these fine examples – the Heron and, of course, Flamingos! 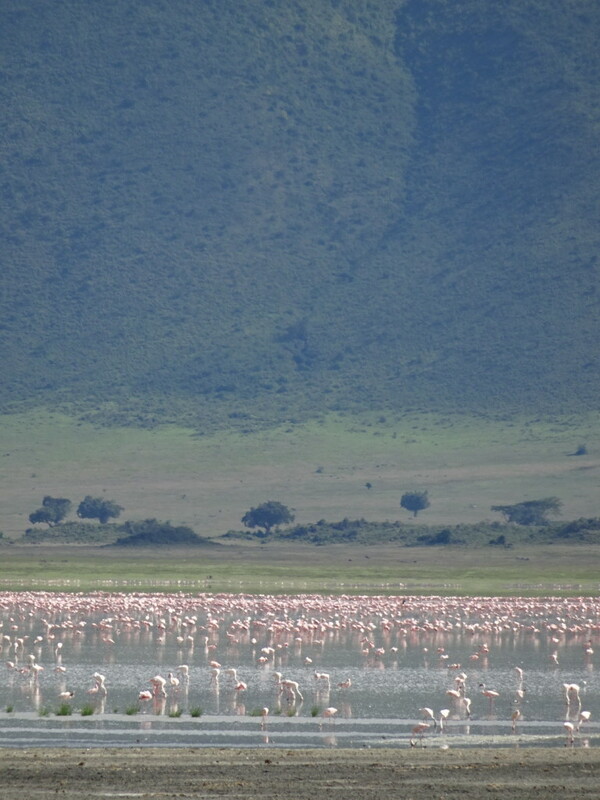 Never could get close up to the flamingos, but they still were impressive! 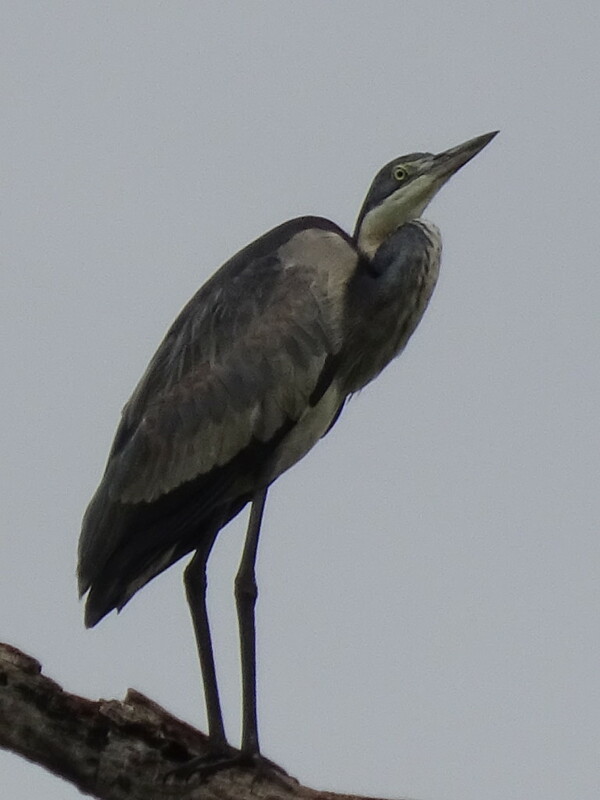 Herons somehow just feel regal to me, not sure why. 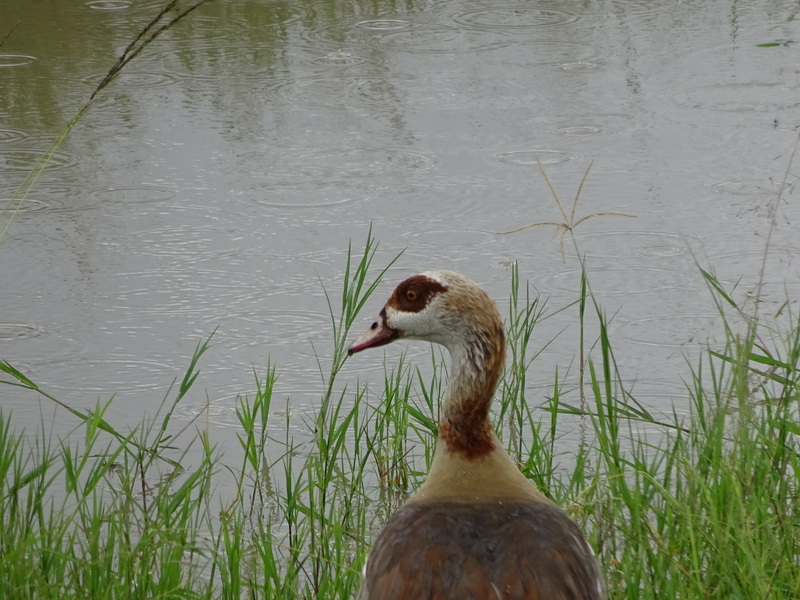 Egyptian Geese! These water birds were EVERYWHERE! 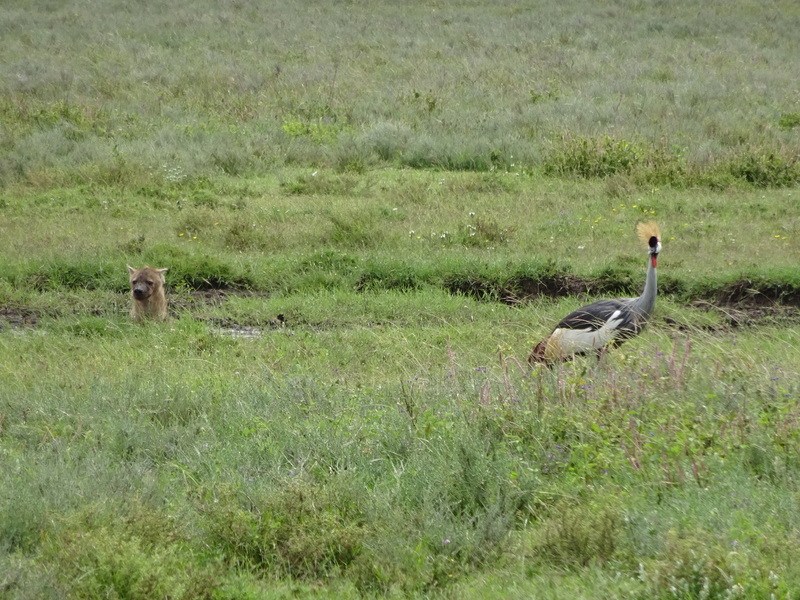 They became a running joke as we kept seeing them and mistaking them for something else. 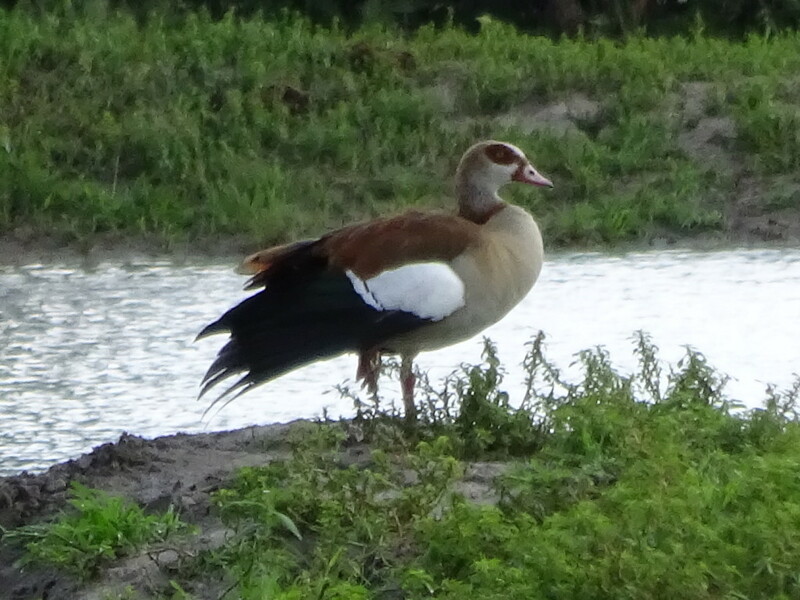 Certainly different than the snow white geese we have in the US and Canada! 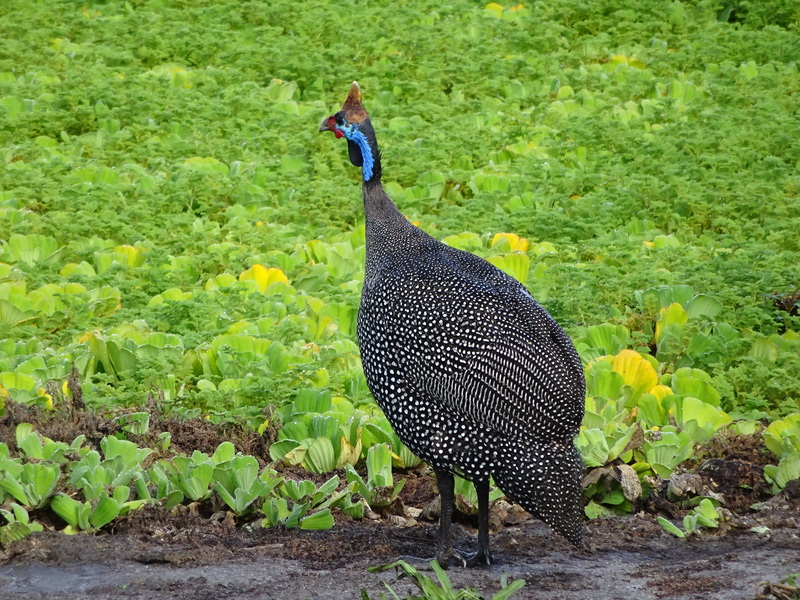 The Helmeted Guinea Fowl (or Guineafowl – it seems to be written both as two words and one) has some of the most unique plumage we’ve found. Check out those polka dots! And the blue! They just popped out of the scenery. Well, actually they more ran out as we only ever saw them running around on the ground like chickens. The blue blows my mind! Hornbills always seem like they’re ready to crack nuts. Their beaks just look strong! The red on the Southern Ground Hornbill sure fired us up! Can’t tell you how many times we mixed up Francolins and guinea fowl at the start! 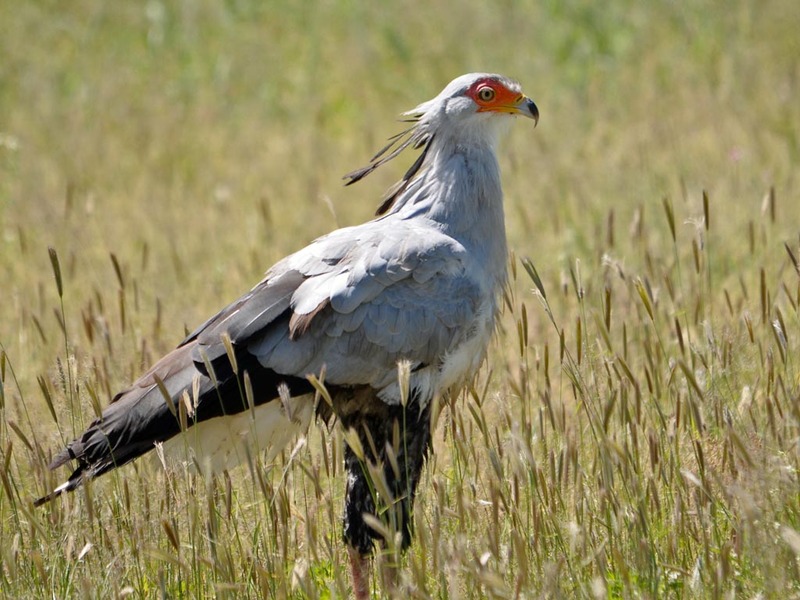 Francs are much smaller and don’t have the blue around their eyes, but they do run around in packs on the ground like guinea fowl. 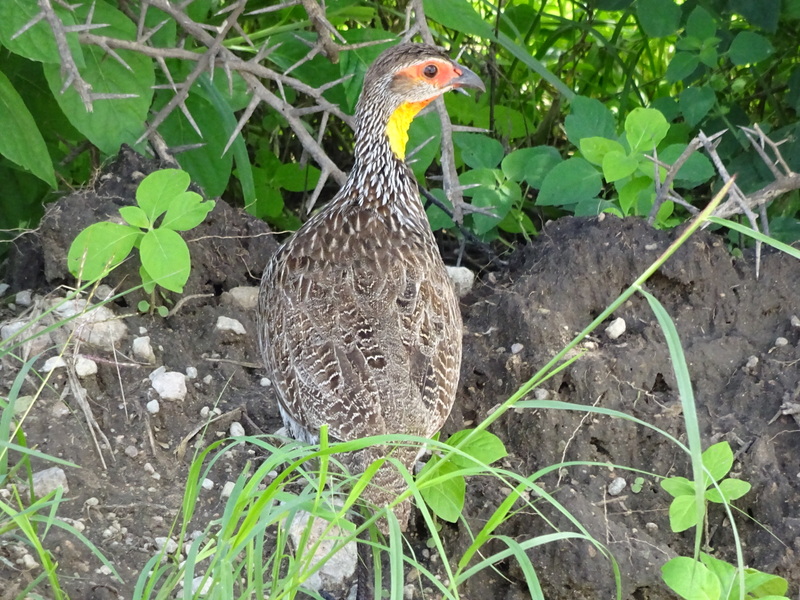 Has the look of a smaller, less blue guinea fowl! 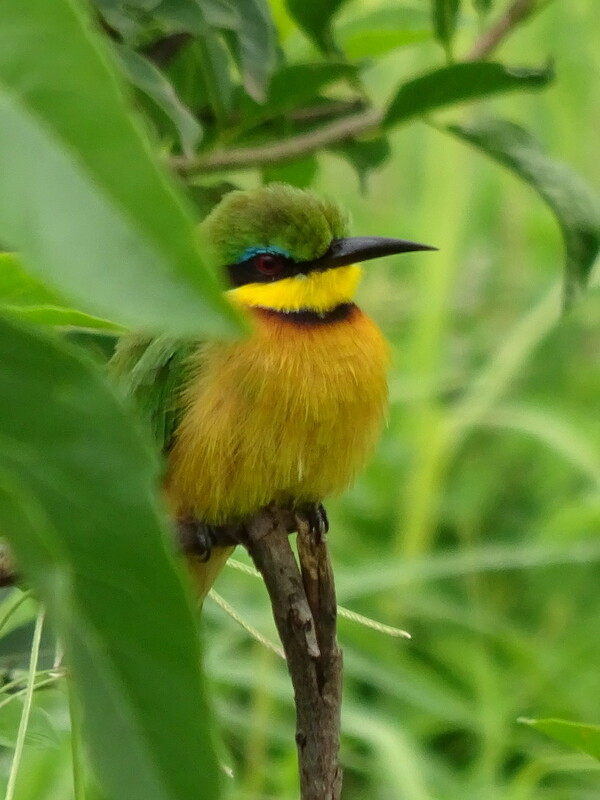 If you’re looking for classic African beauty in a small avian package, look no further than these stunning Bee-eaters. You’d think they’d get lost in the surrounding green grasses, but somehow they always seemed to shine. 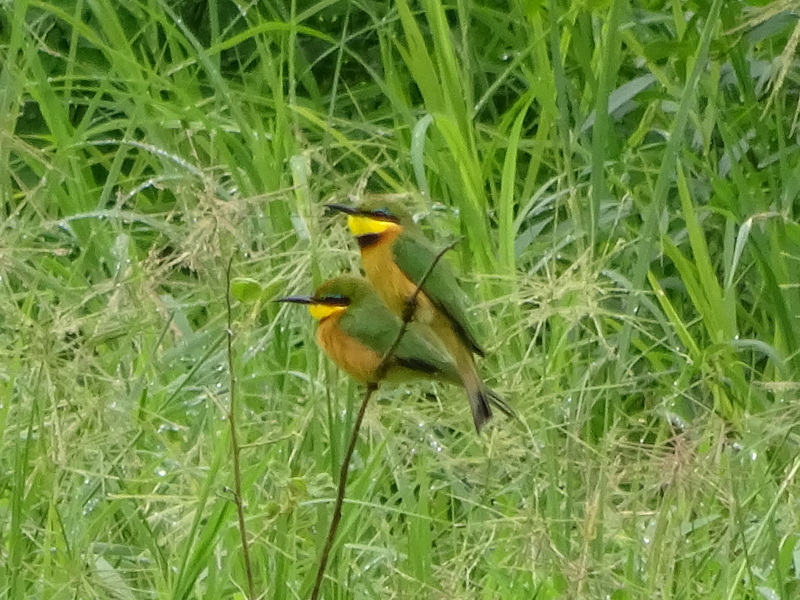 Weaver birds were some of the most interesting (and plentiful) we came across. They make these spectacular nests with entrance holes on the undersides at the ends of long, thin, arching branches. If anything comes out on the branch, like a snake, it’ll start shaking giving the bird time to fly to freedom. Pretty darned clever! 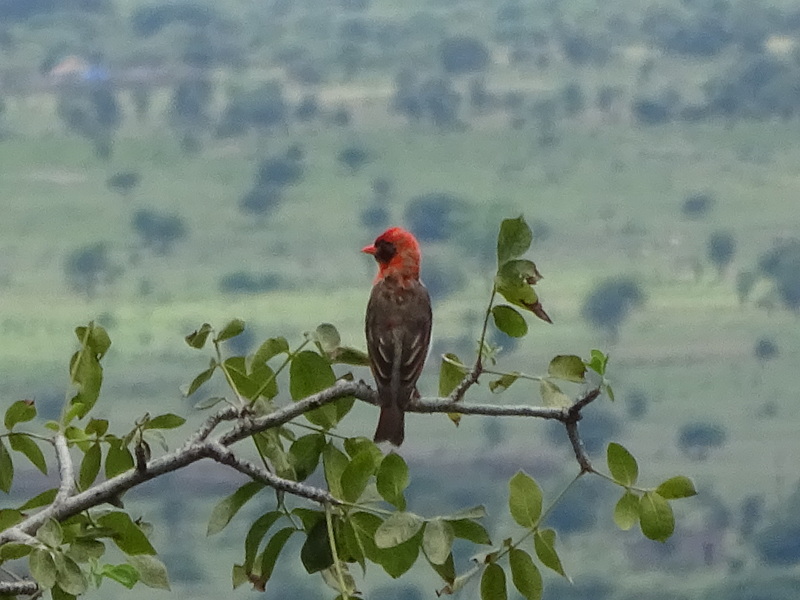 We don’t seem to have photos of the most common yellow type, so here’s a Red-headed Weaver, I believe. 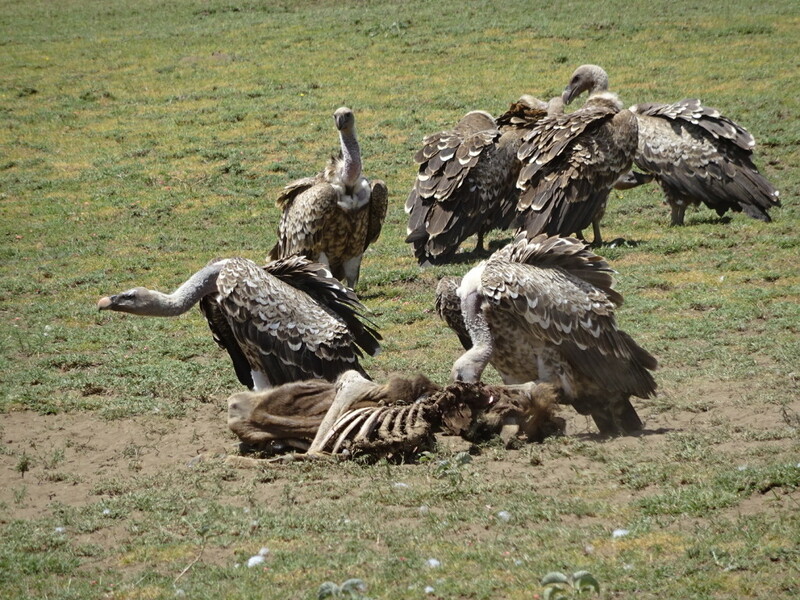 We saw a variety of Vultures on the wing and particularly at the site of kills. They are carrion eaters after all! 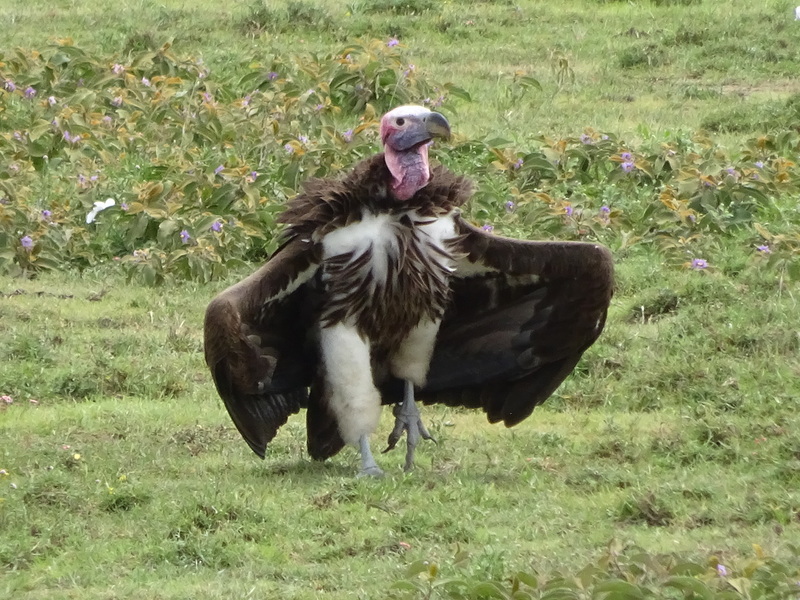 One of the many vultures. They kept reminding me of The Dark Crystal! Here’s a dinner time video with these fellas. 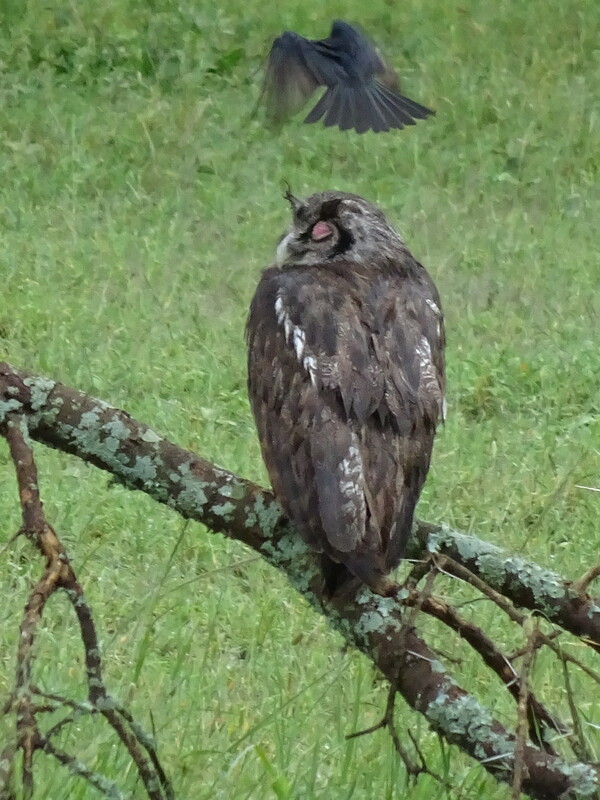 There were bunches of others, but let me end with these shots of an Owl and Black Rough-winged Swallows. Apparently they aren’t fans of each other as the swallows kept diving at the owl trying to get him to leave while the owl simply played it cool. 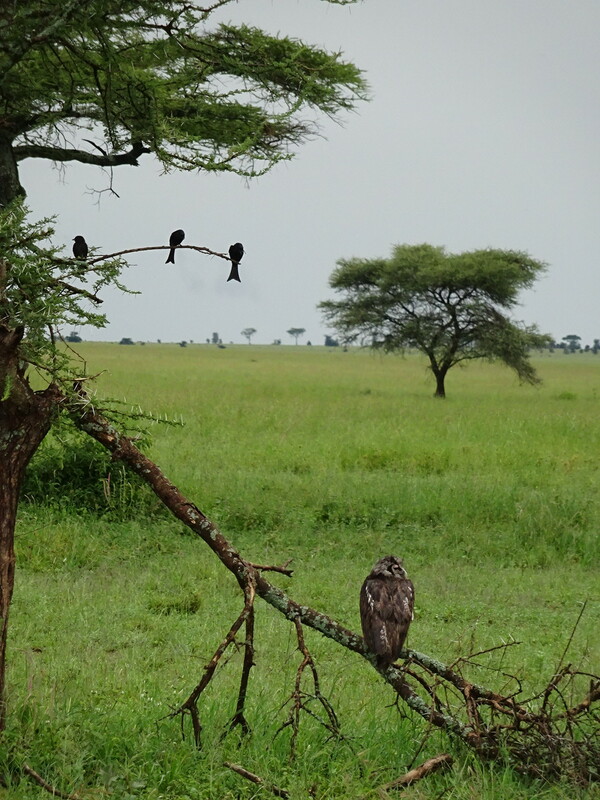 This poor owl kept being dive-bombed by these swallows. We never saw it open it’s eyes as it was protecting them, but he sure was one cool customer! Like I said, cool. Just like birding in Africa! « Safari Part 1: ANIMAAAAALS! Well done, you birders, you. 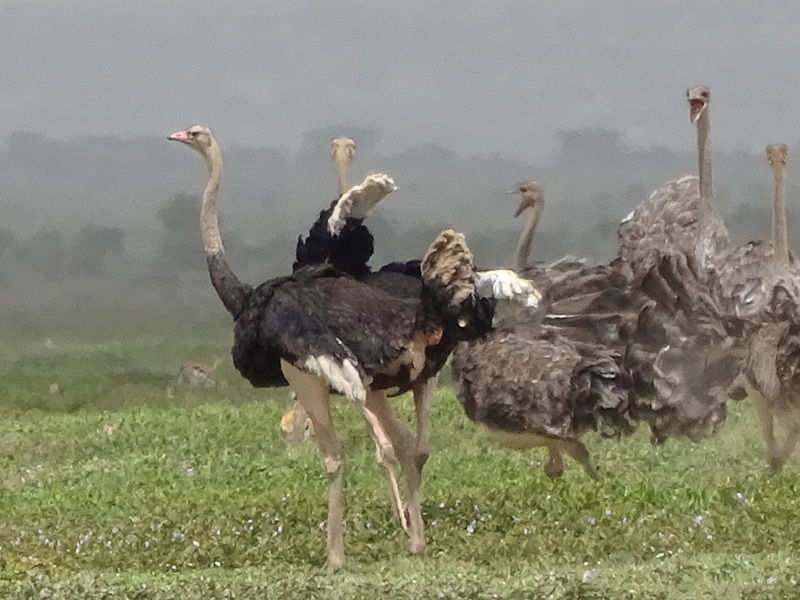 BTW, those Kori Bustards are not 2 feet tall. They are 2 METERS tall. They are really big birds. To think of them flying is hard to imagine. Love from Aunt Casey, a long-time birder (formerly a birdwatcher, but someone renamed us). See? We probably should have sent the blog to you for final editing! 🙂 Can’t wait to see some of your pictures make their way to Facebook. Hi Leigh! Welcome to No Map Required! Very soon we will be studying your South African posts for ideas. We are pretty sure that South Africa is our next stop. We are having the time of our lives. I love the trip you and your mom did. What a fantastic experience!! !